Refreshment Systems are a CarbonZero business. Refreshment Systems Ltd is based in Bradford, West Yorkshire, England. The business was formed in 1968 and now employs over 100 people supplying and servicing a wide range of vending and catering equipment and associated supplies and services. The organisation recognized that safeguarding the environment and providing help to less fortunate communities was something that was not only important to them as a business and individuals, but important to their customers too. Since 2008 Refreshment Systems have been auditing their carbon footprint on an annual basis, instigating reduction strategies and offsetting their residual carbon emissions by supporting the co2balance Gold Standard African Energy Efficient Stove projects based in Kenya. Sales Director for Refreshment Systems Paul Shaw’s comments would support this, ”our staff are exceptionally pleased to be involved is such a creative program which not only benefits many people but ethically is the ‘right thing’ to do as a company.” For a company to provide funding to a project that supports some of the poorest communities in the world, as well as reducing global carbon emissions and protecting local resources is highly commendable in itself. It’s important for us at co2balance for our customers to really understand the impact their help can have. We are always delighted when a customer takes us up on the opportunity to see firsthand how our projects impact the community. 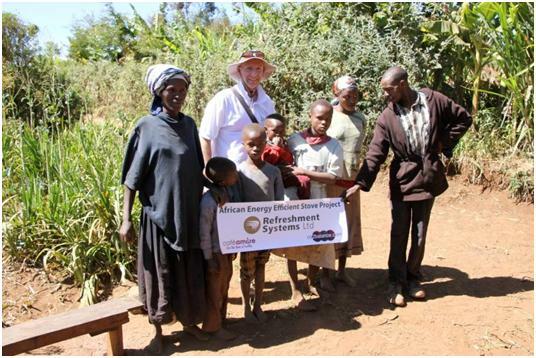 In February 2012 Steve Wright from Refreshment Systems, joined our client trip to Kenya to visit our stove projects in the field and see where their funding has made a difference to people lives. 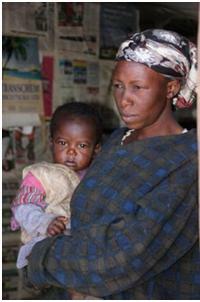 “Visiting Kenya with co2balance was both a very humbling and rewarding trip in equal measure. Seeing firsthand the level of poverty that the villagers live with on a daily basis was quite an eye-opener to say the least, I certainly was not prepared for that kind of a reality check. The difference Refreshment Systems is making to the lives of these people is just unbelievable. With a relatively small amount of input from ourselves, the impact is massive and that is reflected in the welcome that we received during our visit. The people have absolutely nothing, and yet are so friendly and so grateful for the stoves which we have provided for them. We can see clearly that the stoves are a massive benefit to the health and general well being of the villagers – something we take for granted in our relatively comfortable world. The trip is something that I will remember for a very long time and take a lot of pleasure and pride in being part of such a fantastic project, long may it continue”. Carbon offsetting can get a mixed reaction in some quarters. However a properly managed Gold Standard project, delivers far more than a simple carbon reduction. The social, economic and health benefits delivered by the co2balance Gold Standard energy efficient stoves project is a great example of that. The funding provided by organisations such as Refreshment Systems Ltd. makes these inspiring projects possible.